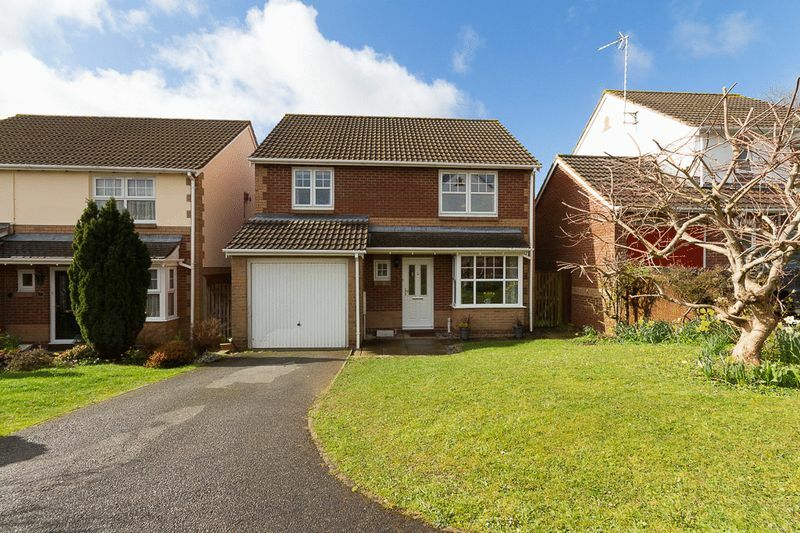 This detached 4 bedroom family home is set in a popular residential location offering lawned gardens to the front and rear, off road parking, a master bedroom with an en-suite shower room all within walking distance of the local primary school and Chudleigh's local amenities. 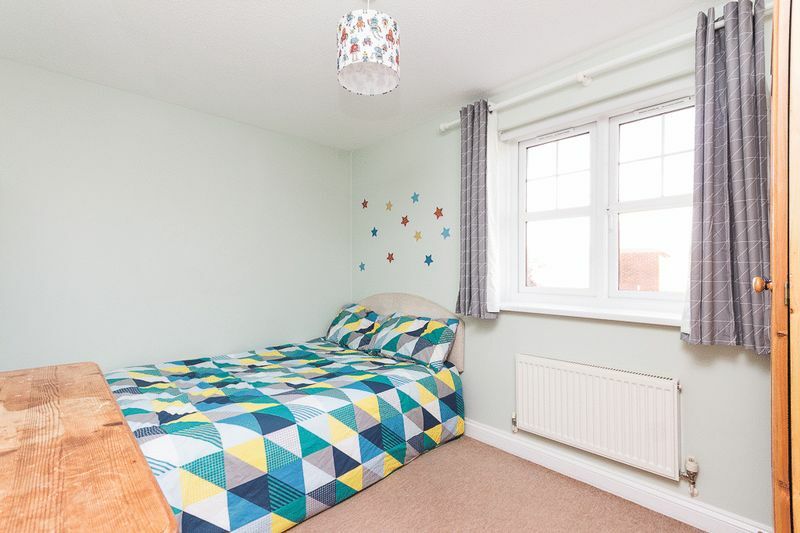 The property also benefits from a partly converted garage creating a very useful room. Viewing is highly recommended to appreciate all that this property has to offer. You enter the property into the entrance hallway, there is a cloakroom fitted with a wash hand basin and WC. 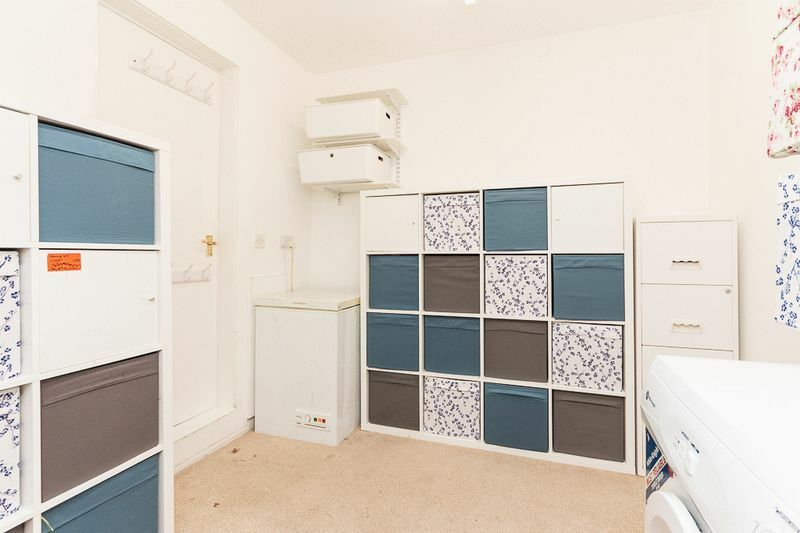 There is a fitted shoe cupboard with hanging space for coats above, keeping the entrance hall clutter free. 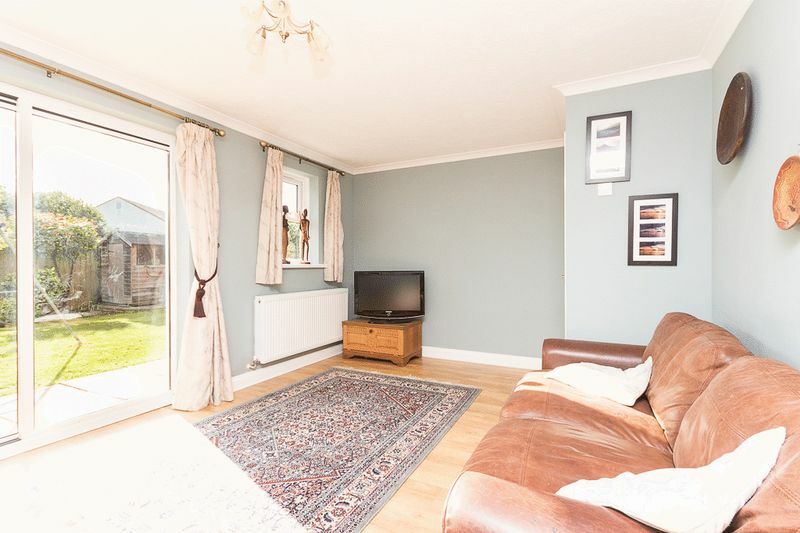 The living room is located towards the rear of the property with wood effect laminate flooring. 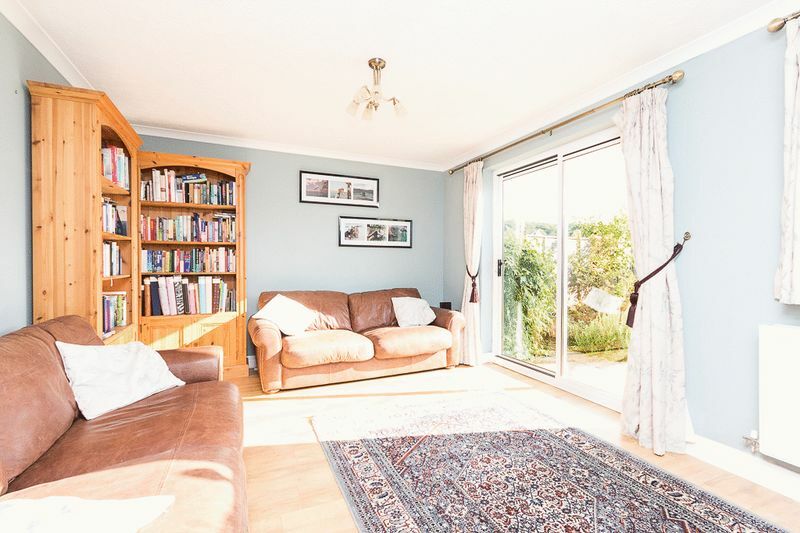 Sliding patio doors allow for plenty of natural light to fill the room and give access and a pleasant outlook onto the back garden along with a further window. 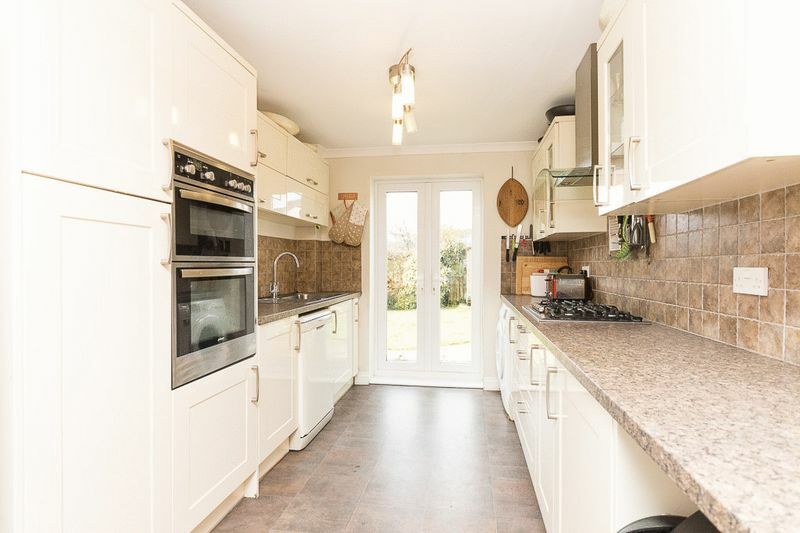 The kitchen diner is another room which allows access to the garden via uPVC French doors. The kitchen itself comprises of a range of modern, white gloss wall and base units, an integrated eye level double oven, an integrated 5 ring gas hob with cooker hood over, a 1 and a half bowl sink with drainer and mixer tap finished with granite effect rolled edge worktops and tiled splash backs. 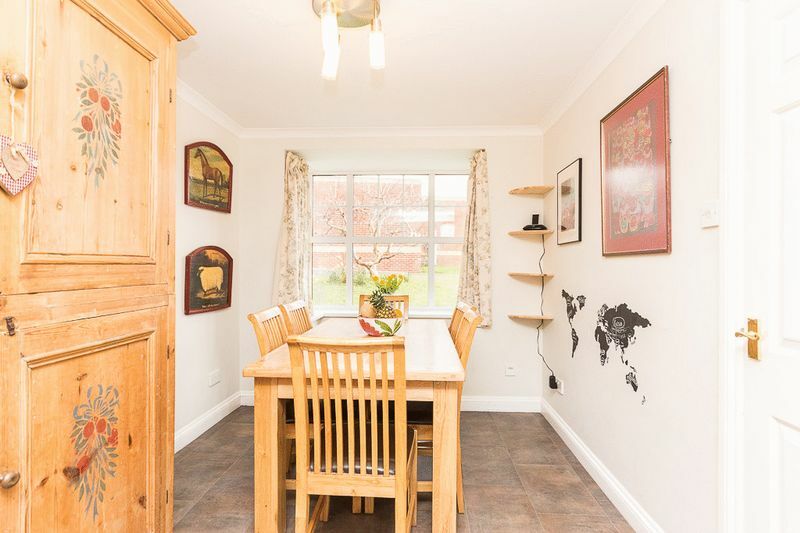 There is plenty of space for a family dining table accompanied by a large bay window to the front aspect providing a pleasant outlook of the lawned garden. Located off the downstairs cloakroom is a utility area converted from part of the original garage. 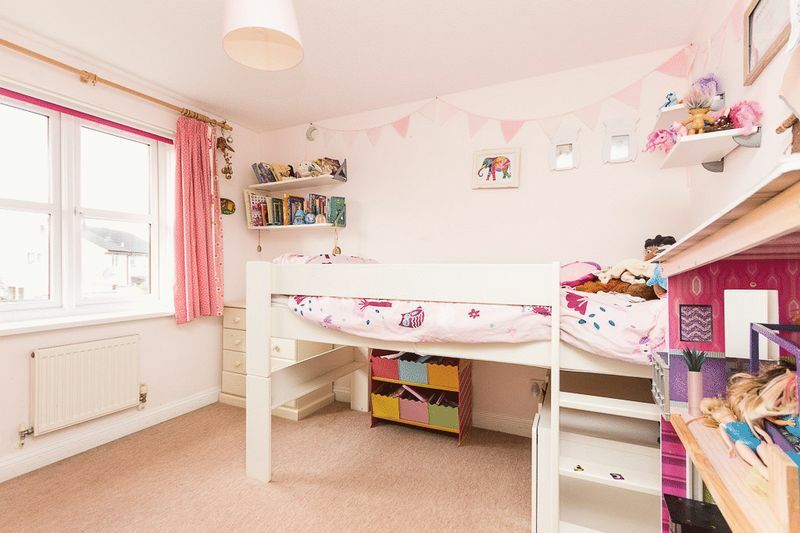 Part of the recently gained planning permission was for a window in this room to be installed. 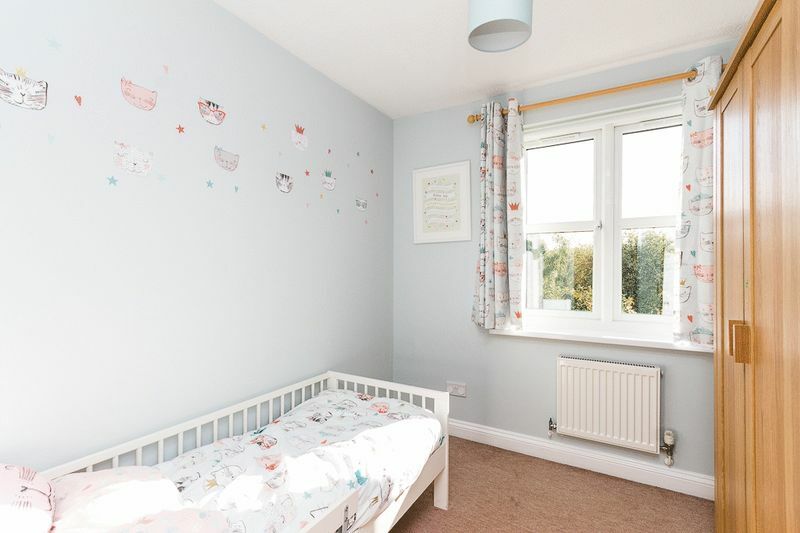 By installing a window here this room provides great potential to be used as a home office, playroom or hobby room. 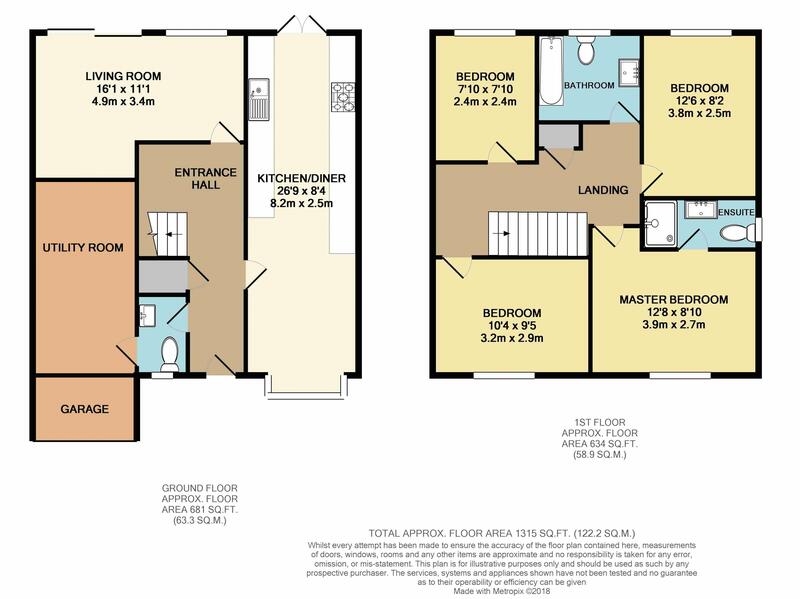 From the entrance hall, stairs rise to the first floor landing which gives access to all 4 bedrooms (3 doubles and a single), a family bathroom and an airing cupboard with a shelf also housing the hot water cylinder. 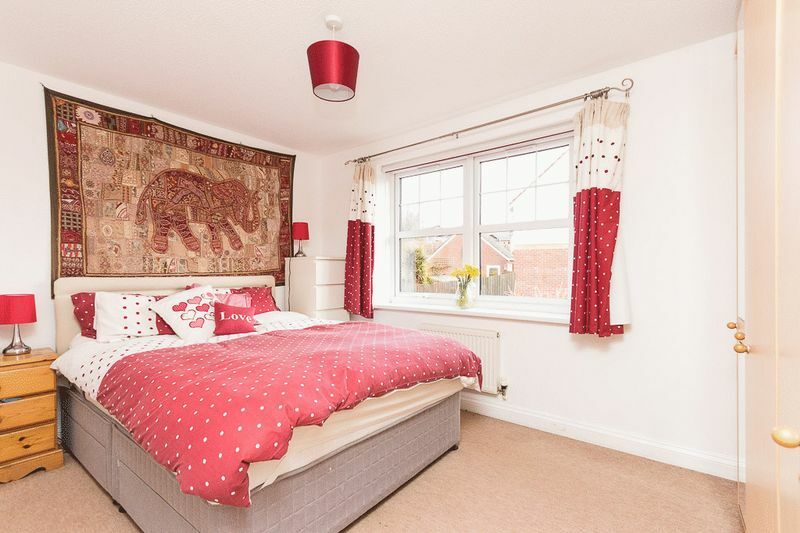 The master bedroom is located towards the front of the property with a window to the front aspect. Accompaning the master bedroom is an en-suite shower room comprising partly tiled walls, pedestall wash basin, WC and ensclosed shower. 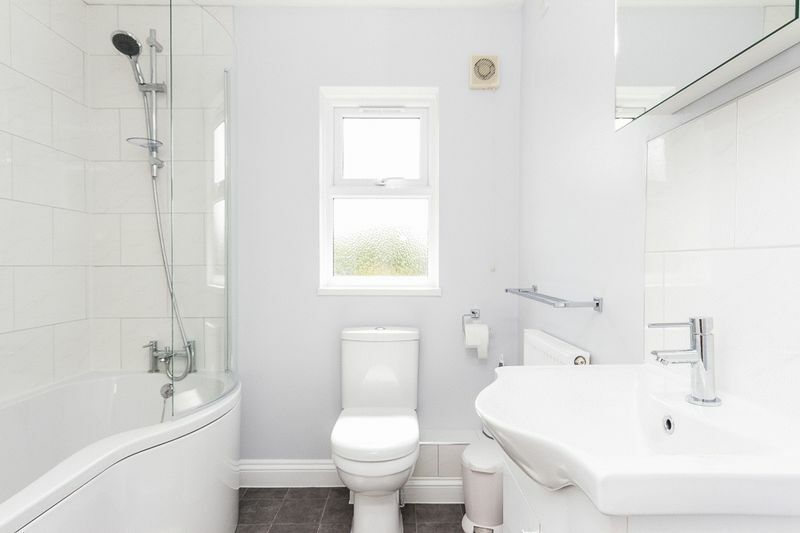 The family bathroom is of a stylish modern design having just been refitted with a white three-piece suite consisting of a P-shape bath with shower attachment over, WC, wash basin with tiled splash back and an obscure window. 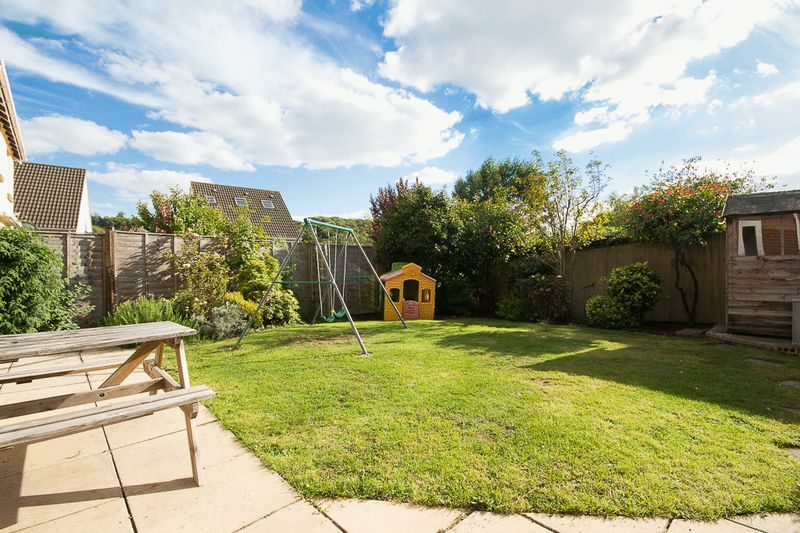 The rear garden is roughly South Westerly facing and mostly laid to lawn with boarders planted with a range of established plants, trees and shrubs, panel fencing provides the boundary. 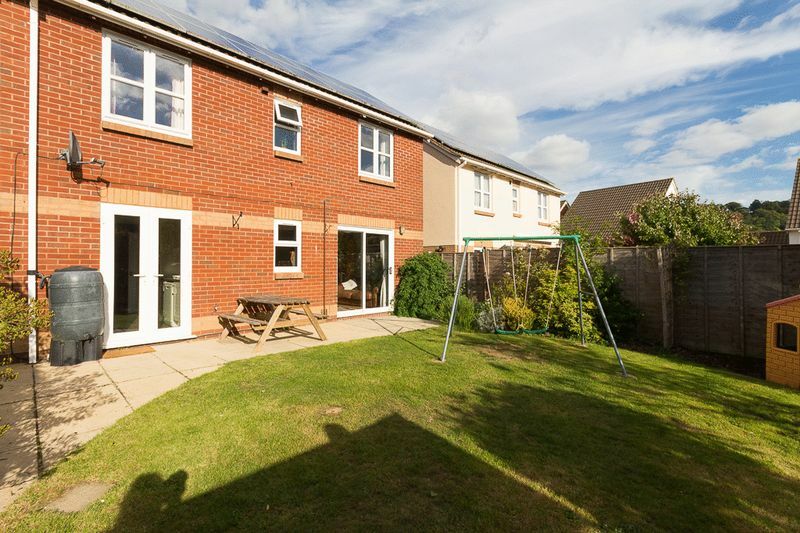 The garden is complimented by the paved patio area which is a perfect spot for a table and chairs and a barbecue to enjoy over the upcoming sunnier months. 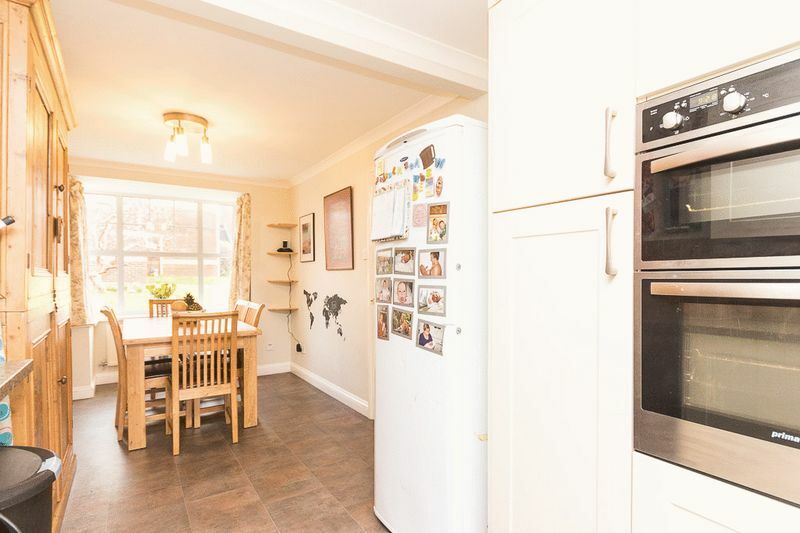 To the front of the property there is a further lawned area with established shrubbery, a side gate giving access to the rear garden, driveway parking leading up to the remainder of the garage which is fitted with an up and over door and would provide ideal storage space for the property. From our office at 31 Fore Street, Chudleigh, proceed past the Church. Turn left into Lawn Drive, continue on Lawn drive for approximately 300m, Turn left into St. Mary's Close. Follow the road around to the left and the property will be on your left hand side. 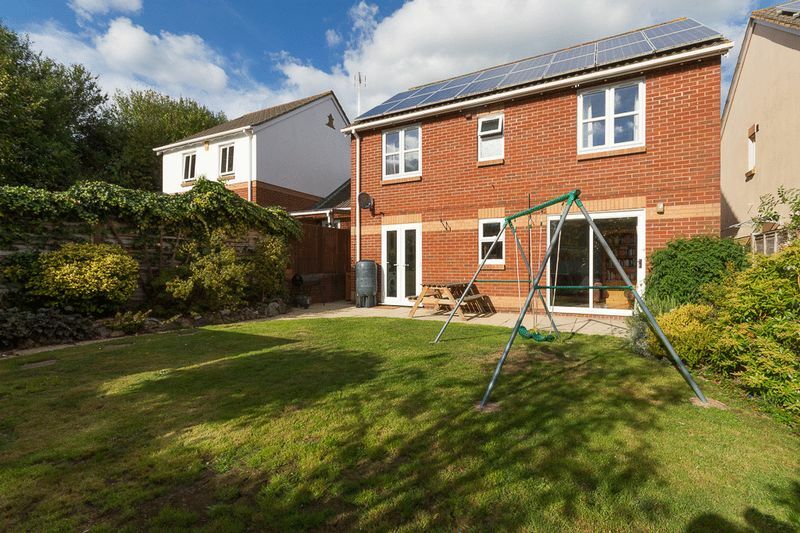 This property currently has solar panels which are leased. Please call for further information.